Too late for most of us, but history teachers near Sherman, Texas, ought to zip out as soon as school is out this afternoon, and head over to Austin College. Nathan Bigelow, Professor of Political Science at Austin College in Sherman, Texas; Bigelow will present “The Evolving Political Thought of Professor [Woodrow] Wilson,” March 5, 2014. 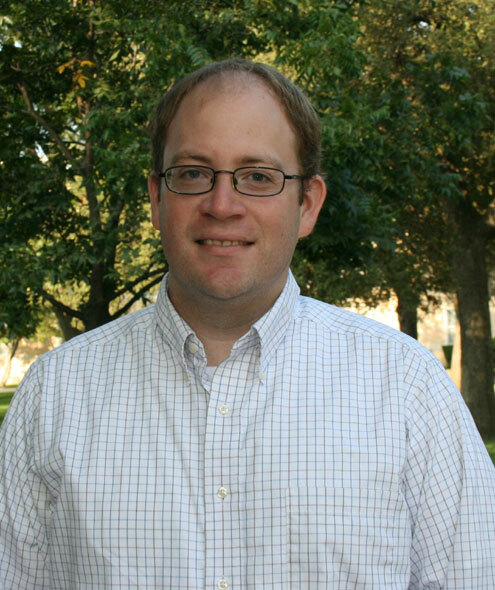 SHERMAN, TEXAS — Nathan Bigelow, Austin College associate professor of political science and chair of the Department of Political Science, will present “The Evolving Political Thought of Professor Wilson” on March 5 at 4:30 p.m. in Wright Campus Center, Room 231. A 4 p.m. reception in nearby Johnson Gallery precedes his presentation, which highlights his recent sabbatical study. The event, free and open to the public, is hosted by the Johnson Center for Faculty Development and Excellence in Teaching. Austin College is a leading national independent liberal arts college located north of Dallas in Sherman, Texas. Founded in 1849, making it the oldest institution of higher education in Texas operating under original charter and name, the college is related by covenant to the Presbyterian Church (USA). Recognized nationally for academic excellence in the areas of international education, pre-professional training, and leadership studies, Austin College is one of 40 schools profiled in Loren Pope’s influential book Colleges That Change Lives. Texas history and social studies teachers have been working to bolster teaching of the Progressive Era, Imperialism, and important figures of those times including Woodrow Wilson, after testing indicated Texas students are too often unfamiliar with the times and events. Sherman area history teachers are lucky to have this close by. I’ve been unable to discover whether professional education credit will be offered.